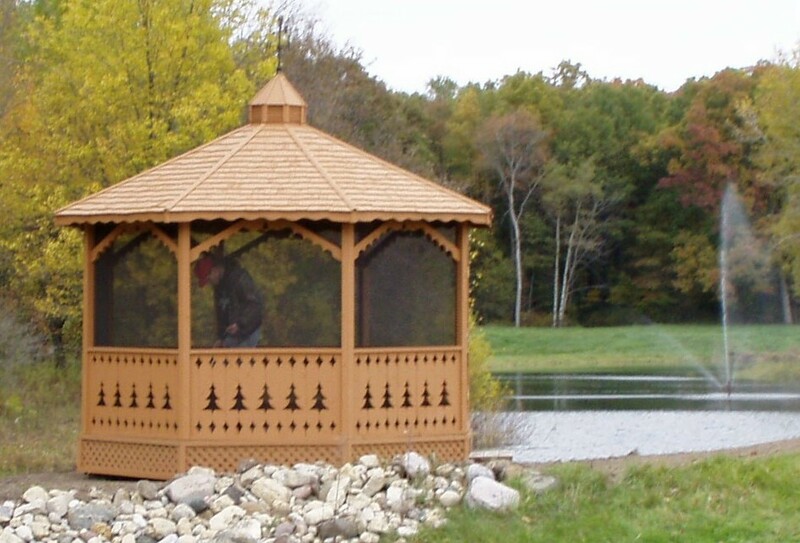 At Gazebo Park we have 10 models in all sizes, shapes, styles and colors for you to choose from. 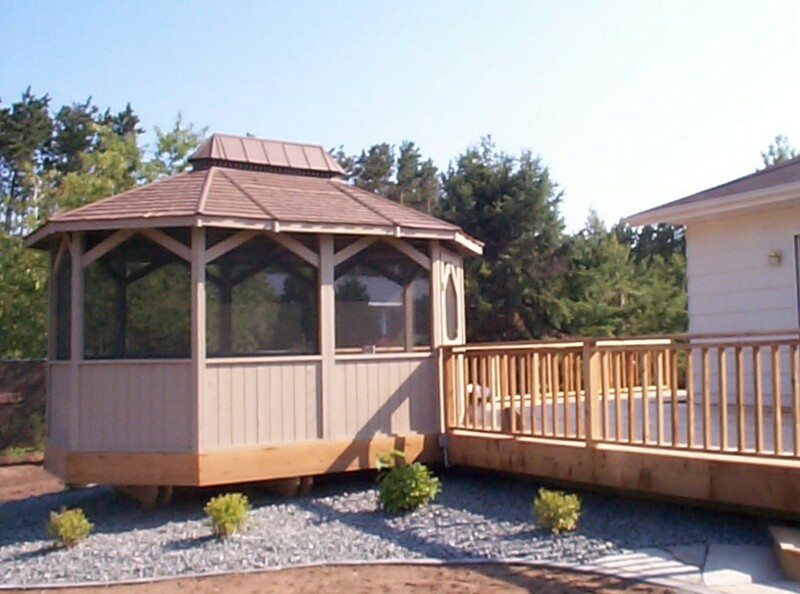 Check out our "Gazebeque" - a gazebo with a barbeque/firepit, a gazebo with a hot tub or our popular oval-octagon models. We will also work with you to custom design and build a gazebo with your own preferences in design, dimensions and options. Visit us at our place: 5532 State Highway 153. See Map below.